How to exclude my domain from referrals? 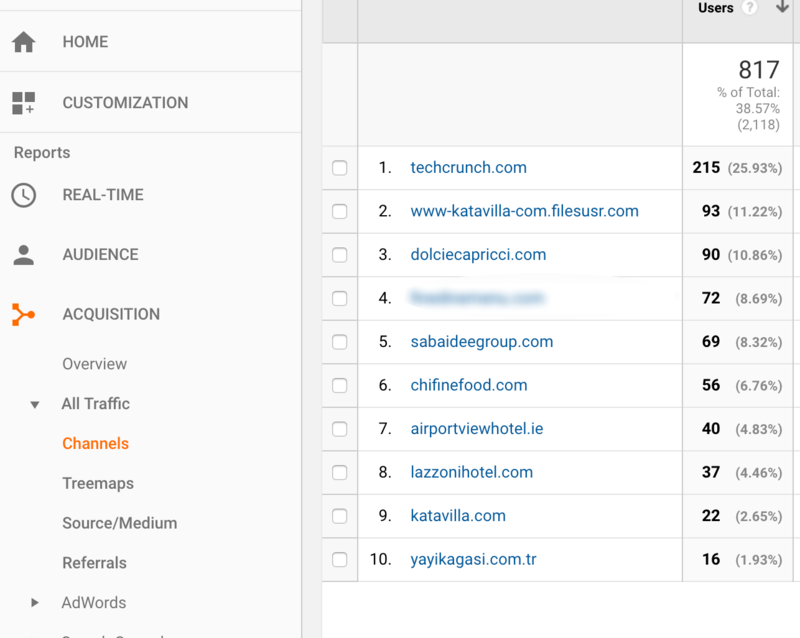 I'm using Google Analytics with Google Tag Manager. The website domain exists in the Tracking Infos Excluded list, but still I can see the domain inside Referrals. How can I totally exclude the domain from the referrals? Have you looked at filters in the Admin section of Google analytics? You can create filters at the account level or view label. Choose the "exclude" filter for your domain name in "referral" field. Keep in mind that it will apply the filter for the data it collects from that point on, not on the existing data retroactively. Not the answer you're looking for? Browse other questions tagged google-analytics google-tag-manager or ask your own question. Will assigning a separate UA tracking ID make Google Analytics NOT exclude subdomain as referral source? What is the status of Google's action on “Ghost Referrals” in Google Analytics? How to remove Google Analytics refferal traffic with unknown hostname using Google Tag Manager?